 Raúl Moreno Almendral, Department of History, USAL. Holds a BA (Hons) and a MA in History by the University of Salamanca (both with extraordinary prize). As a Graduate fellow in Modern History, he conducts research on comparative nation-building history in the early 19th century Atlantic world, but he has also published on theory of nationalism, global history and 20th century nationalism. In 2016 he was a Visiting Research Student at the Department of Government, London School of Economics and Political Science.